A unique necklace and great gift idea that anyone would love! 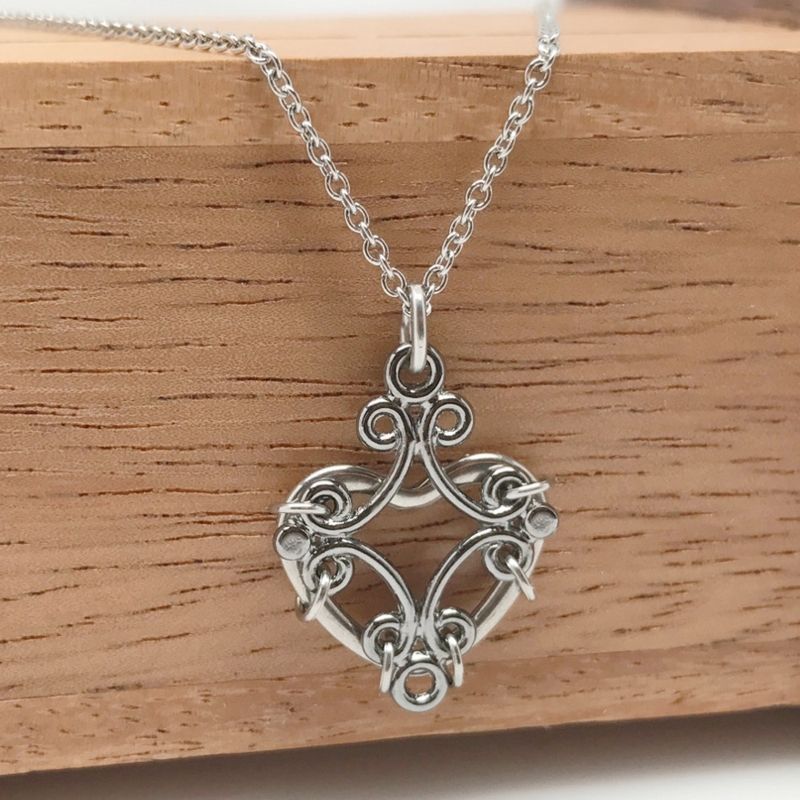 It is hard not to fall in love with this unique, handmade, feminine, yet edgy heart necklace. The pendant features a heart frame background layered with a beautiful filigree held together by six round floating rings that add to the rocker vibe. 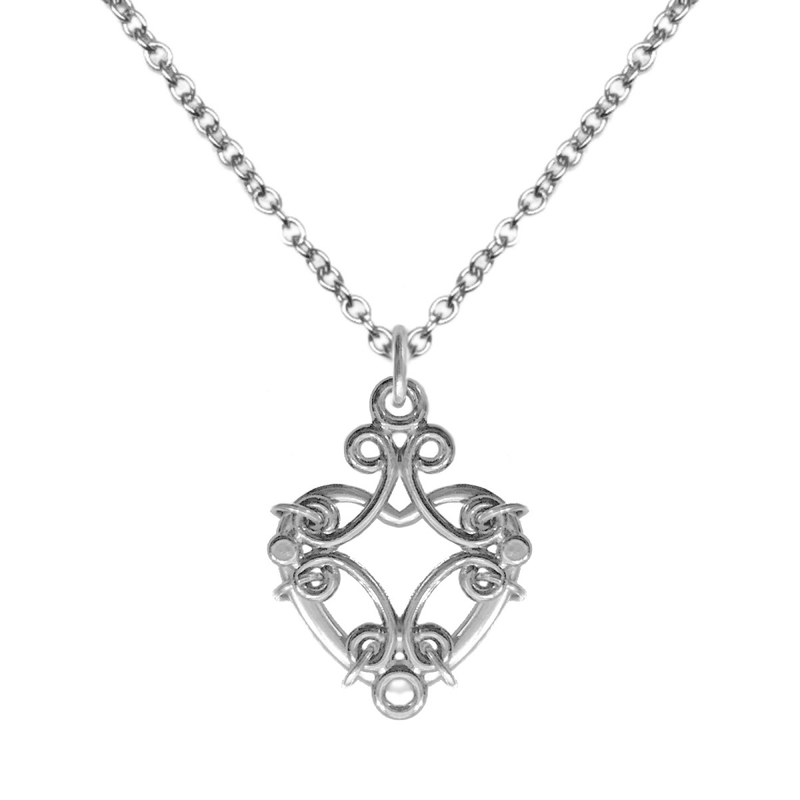 This piece is a true symbol of a thoughtful, everlasting love as it will never tarnish and is great for sensitive skin. 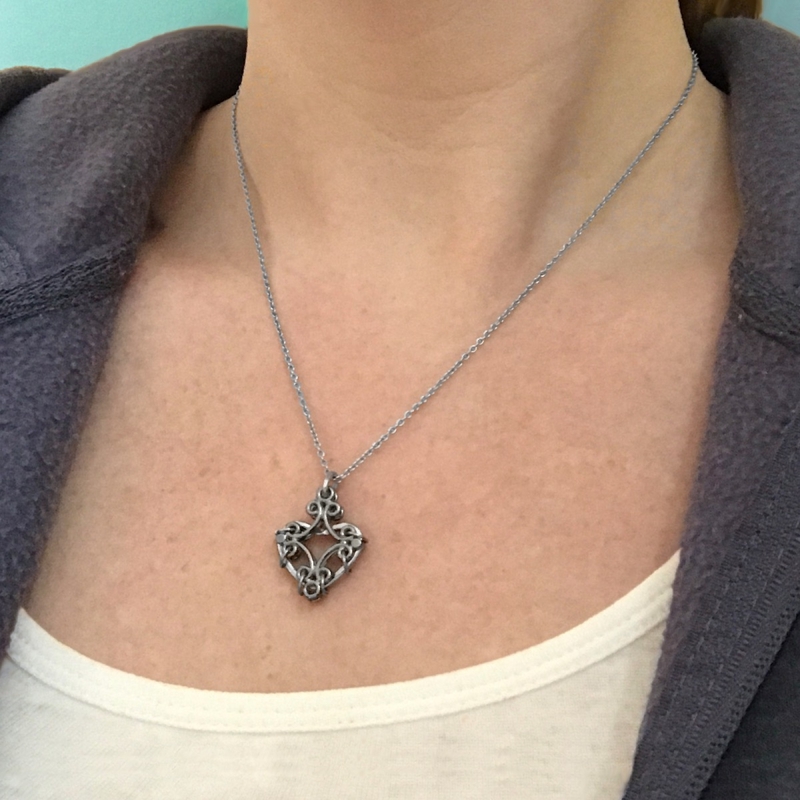 The pendant measures 1" tall, 3/4" wide x 1/16" thick and ships on a stainless steel chain with lobster clasp closure. 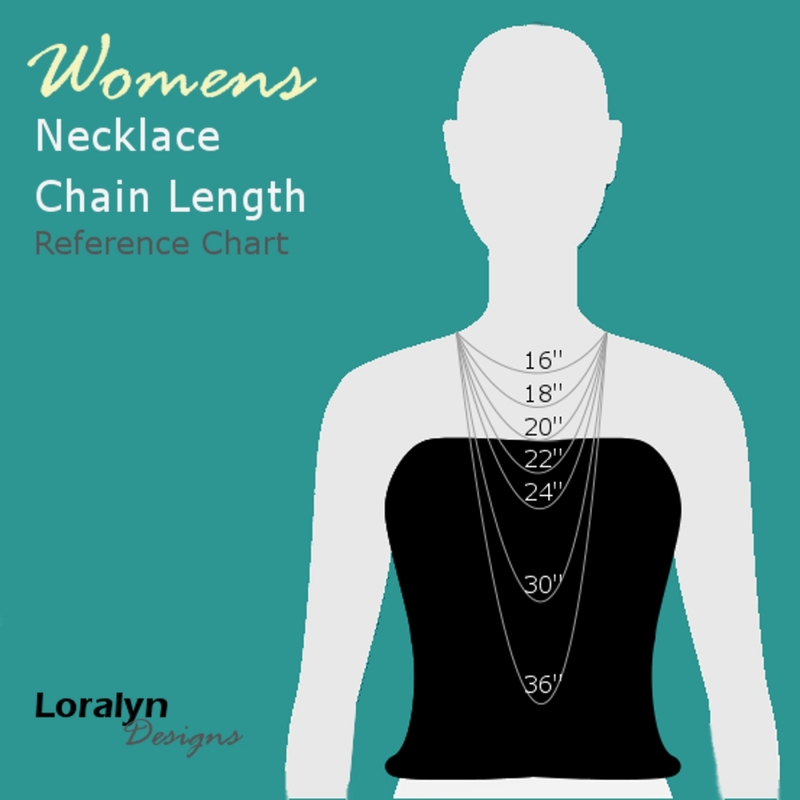 You can choose your length from 16 to 24 inches. All this is shipped in a Loralyn Designs box. Great for gift giving!